Perched on the edge of the continent, San Francisco has long been home to more alternative art spaces per capita than any other American city. As times have changed, these exceptionally generative sites have continually adapted to their shifting terrain. Today, in the face of catastrophically diminished funding, these fiercely independent organizations are increasingly appropriating commercial practices in order to survive. Though the current shift toward commercial strategies is affecting the entire alternative arts sphere, it most dramatically manifests itself in newly forming spaces. Unlike older alternative spaces, which have long utilized marginal commercial activities such as art auctions and ticket sales, these new spaces are integrating commercial practices more centrally into their programming. These activities, whether revenue-raising exhibitions, products, events, or publications, can seem identical to those of commercial galleries, but often they critically engage the very market forces they exploit. For example, Hallway Bathroom Gallery hosts an online exhibition called Blank Art Objects that sells works on paper anonymously for $100 each; only after purchasing a work does the buyer discover the identity of the artist, thereby casting into sharp relief the fetishization of art celebrity. While it is exciting to see today’s independent spaces using the market to support their dynamic, experimental programming, such commercial engagement of course carries with it worrisome potentials. 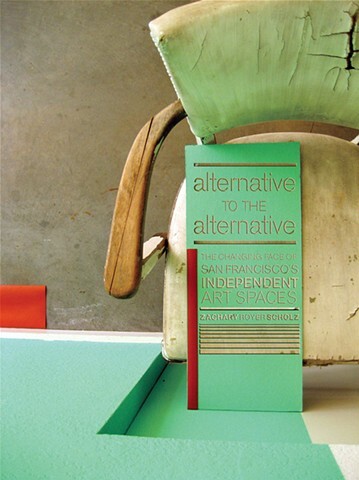 Beyond the immediate hazards of market commoditization, the commercial activities of today’s upstart art spaces call into question the historical distinction between commercial and alternative arts activity. Rather than suggesting that a useful distinction can no longer be made, this destabilization suggests that the art landscape needs to be fundamentally remapped. This redefinition should not generate a clean divide based on a single criterion such as tax status, organizational structure, or any other specific practice. Instead it must compare each organization’s cumulative affect, based on whether it uses capital to expand art or art to expand capital. Such a redefinition will highlight spaces that expand artistic discourse and thus merit support and patronage.